Amazon’s Alexa technology is simply amazing. 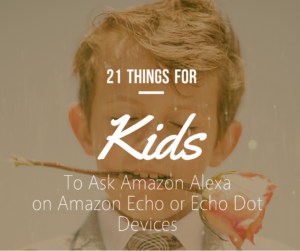 You can use Alexa-enabled devices such as the Amazon Echo and Amazon Echo Dot for a number of fun and educational purposes. Grown-ups aren’t the only ones who can enjoy Alexa, though. Kids love Alexa, and here’s a list of fun and educational things kids can ask Alexa. They include kid-friendly music, plus learning and even homework help. Please note that Alexa doesn’t offer any parental controls, so kids need to use it under the supervision of an adult. How about you? 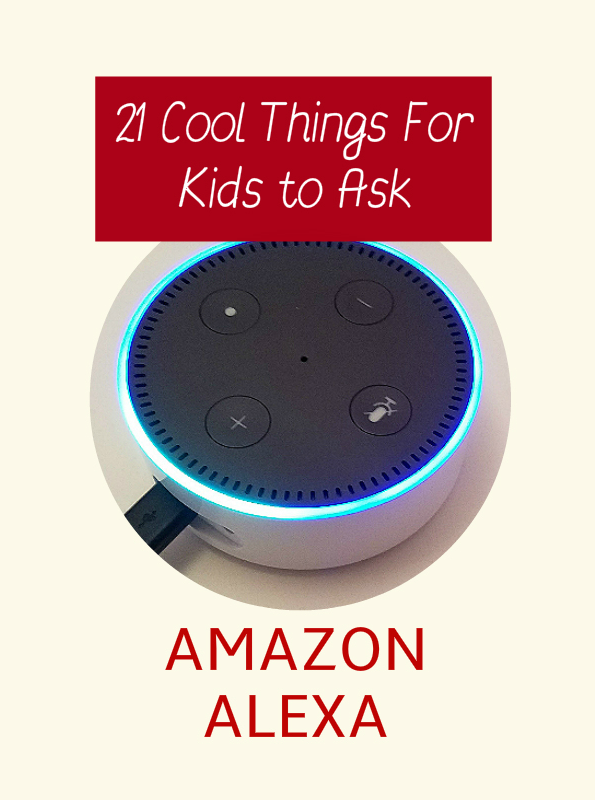 What do your kids like to ask Alexa? Ask for help with a crossword puzzle – it depends on the clue, but Alexa might know the right answer. 39DollarGlasses.com: Save $15, Get Glasses for $24!